Error message when you start the demo versions (see file). Does this error message appear only on the Northwind.Win? 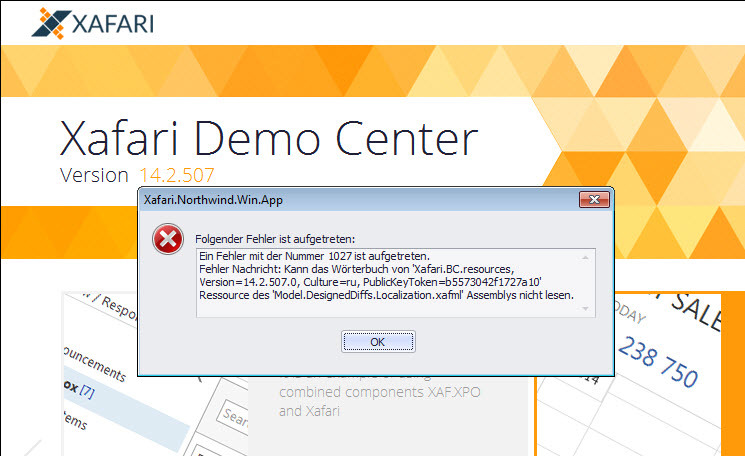 We are going to release new build of Xafari 14.2.5.x today 4 March. This errors will be fixed in this build. See Known issues and Breaking changes in new build. The problem has been fixed in the new release. - using Xafari documentation (see Getting Started for each component).